AUSTRALIA'S BIGGEST ALFRESCO BEER FESTIVAL IS BACK! What happens when two iconic Fremantle institutions come together? 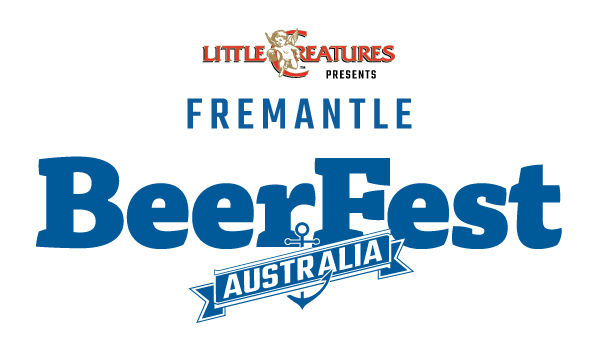 Announcing the biggest and boldest 2018 Freo Beerfest to date - presented by Fremantle’s most iconic local Brewery - Little Creatures. A full weekend, jam-packed with 50 Western Australian signature Craft Brewers, Cider Makers and Distillers brewing exclusive highlight festival brews just for you; perfectly complimented by WA's most decadent local street food. A comprehensive range of beer & food matching, cooking demonstrations and craft beer master-classes; and a dedicated Live Stage packed with iconic live music and DJs, live comedy and roving performances. As the voice and face of Grinspoon, Phil Jamieson fronted one of the most popular Australian bands of the last two decades. An accomplished singer, songwriter and guitarist. Discovery is Australia’s tribute to the music and image of French electro house legends, Daft Punk. Complete with authentic signature gold and silver robot helmets as well as an entertaining, party-vibe DJ set of their own produced remixes and mash ups, ‘Discovery’ ensure even the purest Daft Punk fan will be satisfied! With their attention to detail in custom-made costumes, covering Daft Punk’s ever-changing image in eras from Human After All, TRON, Random Access Memories and the new collaboration with The Weeknd – any club event, function or festival will be left wondering….did we just see the real Daft Punk? Located directly across the road from the festival, we have a number of ticket & accommodation packages available. These packages include 1 night stays at the hotel and are suitable for 2 people as the room sleeps 2 and 2 tickets are included in each package. Please note: The Saturday Accommodation Package is now sold out. These accommodation packages are available in very limited quantities. The hotel will send you a separate hotel confirmation once your accommodation package is ordered (please allow a few days for this to arrive, especially over weekends, contact us directly with any questions). Note: like our other festival tickets, these packages are non refundable. Also, Saturday night acommodation is likely to sell out quickly. Pictured: Upgraded Superior Pool View Rooms - included with the accommodation & ticket packages. 1:1 interaction with the largest range of WA Craft Beers, Ciders, Rum, Whisky and more, along with an exclusive hands on experience with WA producers! FREE, reusable and dishwasher-safe BeerFest Festival cup. The Fremantle BeerFest hosts the largest and most comprehensive range of Western Australian Craft Brewers and Cider-makers Australia-wide, with over 350 Brews, Ciders, Spirits, Cocktails, Wine to sample. Drinks will vary from $1-$2 for 100ml tastings to $6-$8 for a 285ml pour and will be decided by the stallholders. For a full schedule for anywhere around Perth & surrounding suburbs please visit transperth.wa.gov.au and click on journey planner. Will there be gate sales? Limited gate sales will be available each day if not sold out. We recommend getting your tickets online in advance, as they will be slightly cheaper and gate sales will be closed as the festival gets closer to capacity. Similarly, online ticket sales during festival operating hours will be limited. Beerfest has no tokens, cash cards or any currency other than Australian dollars. You can use cash and in some cases EFTPOS is available. EFTPOS will be at the gate and 4 x ATMs will be on site. Credit cards will be accepted at the Front Gate for entrance tickets and at limited stalls. A wristband allowing drink purchases/ consumption is only given to people 18+. $15 Tickets are available for ages 14 - 17, with under 14 been free. Under 18's must accompany a paying adult 18+. Festival Friends: Refrigerate Containers, City of Fremantle, RTRFM, Feral Brewing Co.